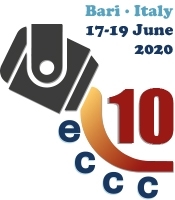 The 10th European Continuous Casting Conference – ECCC 2020 – will be organised by AIM, the Italian Association for Metallurgy, in Bari (Italy) on 17-19 June 2020 with focus on the status and future developments in the casting of steel. The ECCC is a unique forum for the European continuous casting community to exchange views on the status and the future development of the continuous casting process. 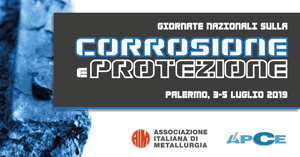 The Conference program is abreast of the latest developments in control and automation, advanced continuous casting technologies, application of electromagnetic technologies and mechanical devices to improve the core microstructure, the lubrication issues for improving the surface qualities. Steel metallurgical issues will be addressed as well as their physical and numerical simulation. The exchange of experience in operational practice, maintenance and first results from the recently commissioned plants will integrate the program. The Conference aims at promoting the dialogue among the delegates with industrial and academic background and among the participants in former Conferences and new members of the continuous casting community. 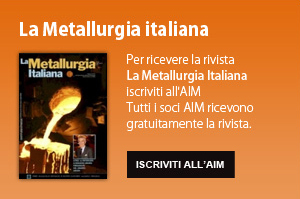 Prospective authors wishing to present papers are invited to submit a tentative title and an abstract of about 300 words (in English), specifying a maximum of two topics for each proposal, to the Organising Secretariat (aim@aimnet.it). The abstract should provide sufficient information for a fair assessment and include the title of the paper, the author’s names and contact details (address, telephone number and e-mail address). The name of the presenting author should be underlined. A poster session might be organized as well. • send the requested information by e-mail to: aim@aimnet.it. As an integral element of the event, a technical exhibition will be held during the event. Companies have the opportunity to reinforce their participation and enhance their corporate identification by taking advantage of the benefits offered to them as sponsors of the event. Companies interested in taking part in the Exhibition or sponsoring the event may contact the Organising Secretariat (e-mail: aim@aimnet.it / tel: +39 0276021132).